As most of you know my interest in cards has more or less vanished recently for various reasons mentioned in a previous post. 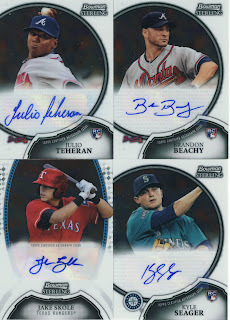 When I saw the box from Topps, that little feeling of excitement came back.... It was nice to know that it was still in there somewhere. So as you can imagine this box does not come cheap, they retail for roughly $200 per box. If you like rookies and prospects, this is well worth the price of the box for the crazy number of hits you come away with. Oh, I guess you want to see what was in the box? Fine. 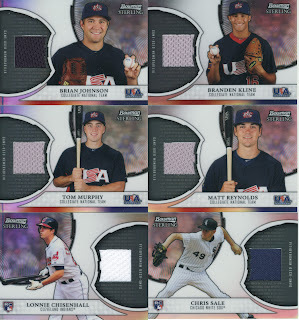 Team USA game used cards and rookie game used cards. Now these guys are familiar. Hello, boys. 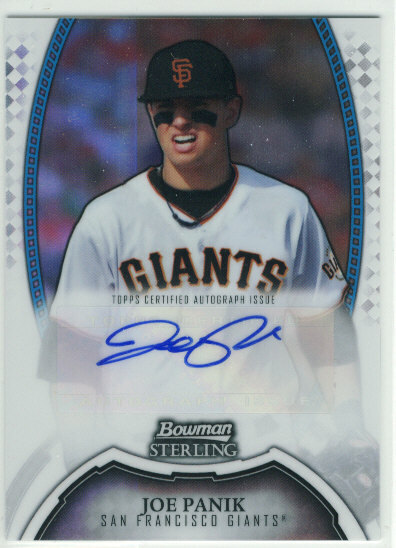 Joe Panik refractor auto /199 - This is the second autograph of Panik that I have pulled, which makes me think someone is trying to tell me to collect him. 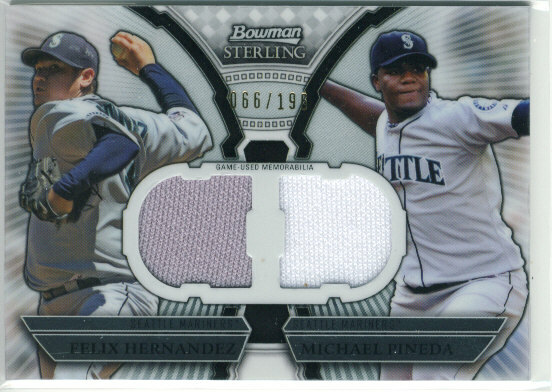 Box topper, dual game used of King Felix and Michael Pineda. I thought this card was pretty awesome before the Yankees traded for Pineda, so this is cooler now. This product is absolutely loaded with hits and it a really great product- if you can afford it. 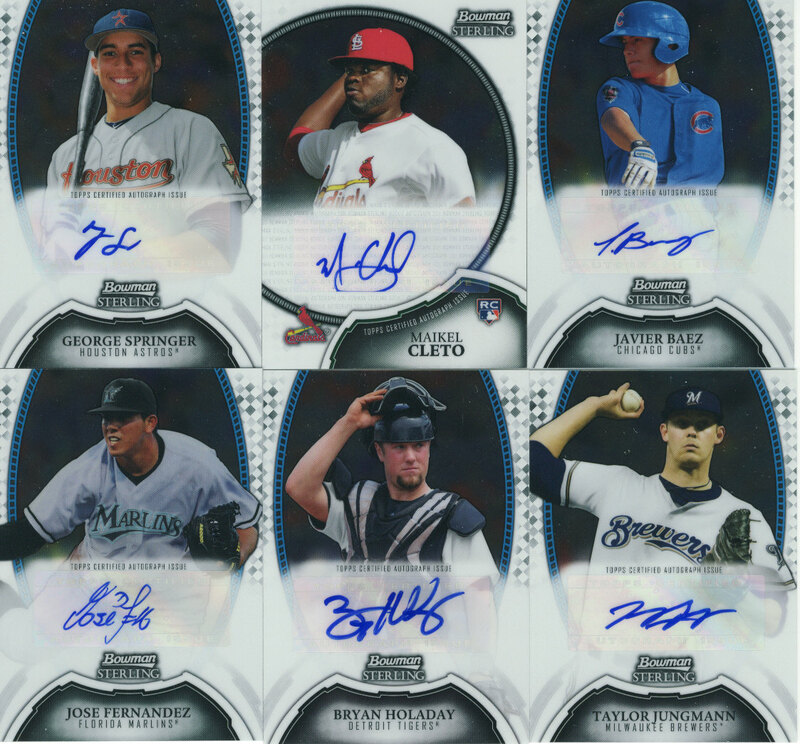 The downside to liking a product packed with hits and not too many base cards is the price. I guess if you skipped the products that promise 1 hit per box and only picked up the higher end releases it would even out in the end? If i had money I would test that theory. The design is nice don't get me wrong, but I feel like it just looks recycled from other higher end products. I know continuity between years seems to be a thing with this type of product but when all the collectors are always saying they are looking for something new and fresh, well this isn't exactly the answer. Clearly if you collect veteran players you would not buy this type of product, but since it is marketed towards prospectors and rookie collectors it delivers big time. With 13 autographs and 7 game used cards you can't beat it for $200. You could hit one or two big cards in the box and easily justify the price point. It's really hard not to like a product that delivers 20 hits for $200. If you are someone who buys products to flip cards, I don't see how you could go wrong here. Heck, even if you do what I normally do (buy a box sell what you don't want a keep a couple), you could still stand to almost break even or completely break even. And if you don't break even.... well, that really wasn't the point of opening a product like this if you are a collector. You were looking for the high thrill of getting 2 or more hits per pack. Everyone wins here. 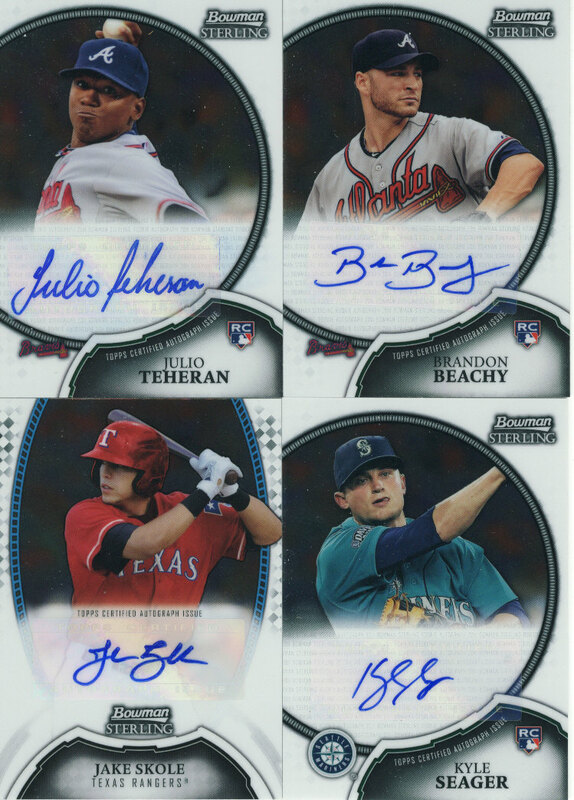 TWO Braves autos??? HOT BOX!!! 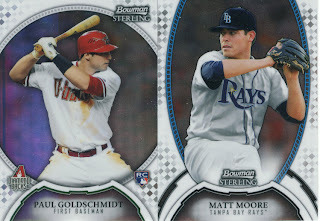 Any interest in trading the Goldschmidt? If so, let me know. daniel24303atgmail.com. Thanks! You can have all my Jeters. 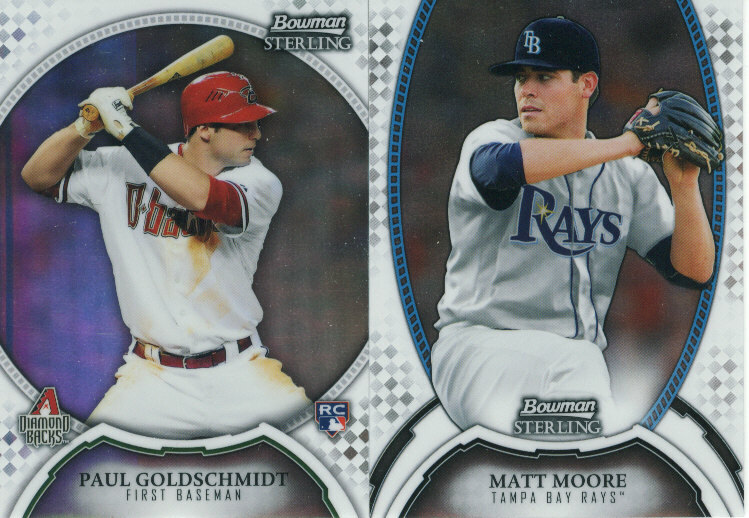 I'd like several of these cards including Goldschmidt and Moore. Also have several YSL cards and Pujols to part with. LMK if you are interested trading. I'd love the Chisenhall but I don't know what to send you anymore !! I don't get many Yankees or Alberts. How much for the dual?? 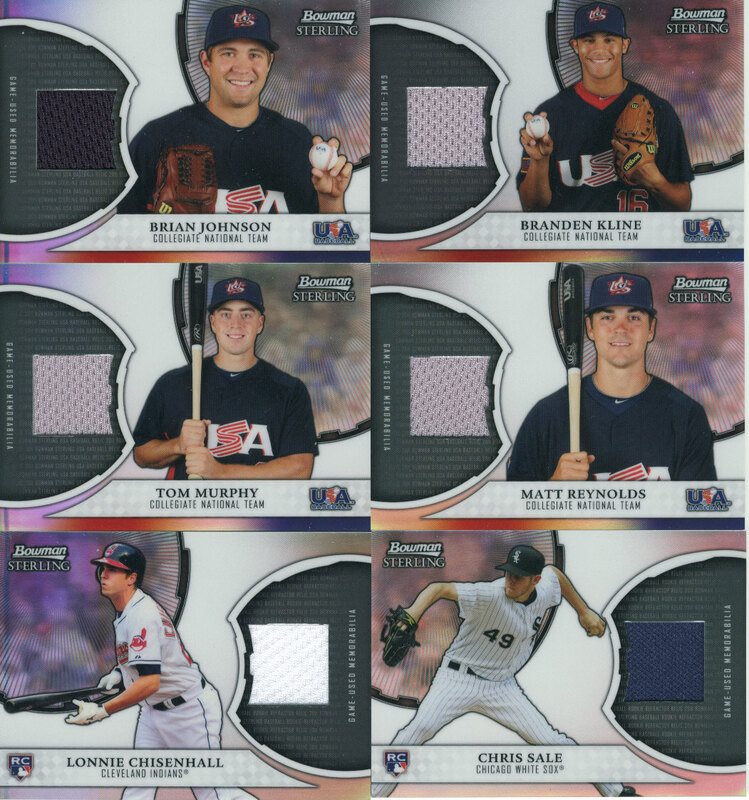 I have some for trade on my site, but doubt if interested. 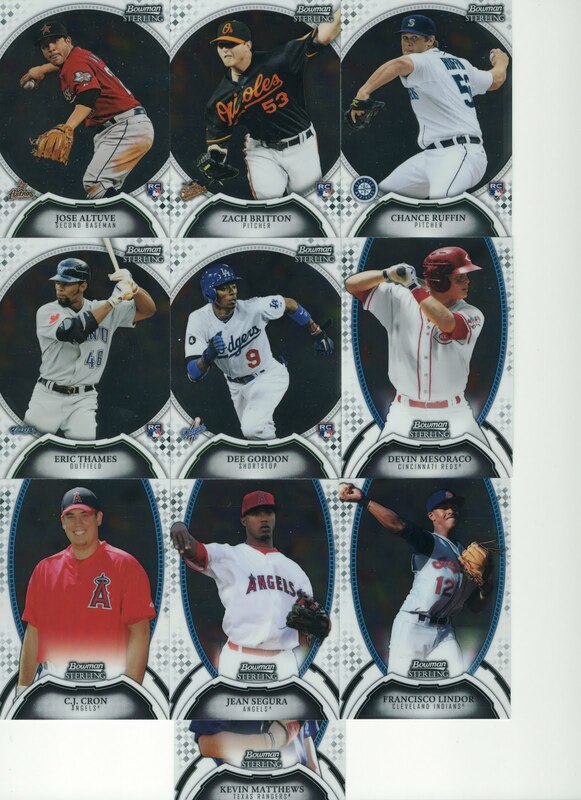 Do have a Pujols 1/1, but would need more than the dual. Very nice review, I've seen a lot of card shops have this in stock even though the prices scare me away. 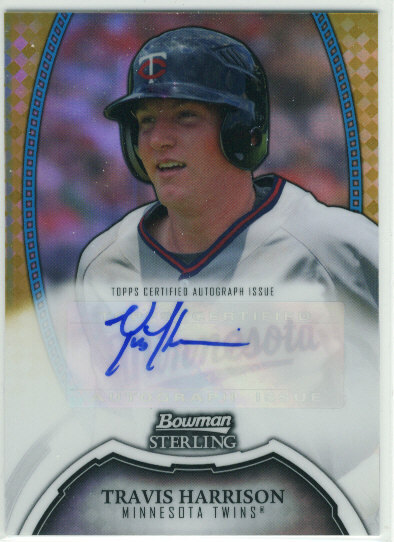 I guess this is the rookie version of Topps Marquee. Love the Pineda/Felix dual jsy and keep an eye on George Springer this season. Overall, how do you think this year's product compares to previous Bowman Sterling products? This type of set is why people collect. Sometimes you take your chances buying a factory set, but this set is pretty good. Still have that Travis Harrison? Are you two still out there? Sure miss the two of you doing the blog thing.